WASHINGTON–U.S. Secretary of Commerce Wilbur Ross announced that the Minority Business Development Agency (MBDA) of the Department of Commerce awarded over $13 million to 35 projects in communities across the country. The grants, which are part of MBDA’s new Broad Agency Announcement initiative, reflect critical Department of Commerce priorities including space commerce, aquaculture, disaster relief, and entrepreneurship efforts. 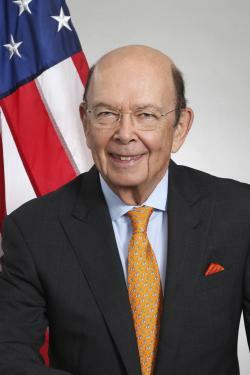 “Under the guidance of President Trump, American businesses have reached unparalleled heights,” said Secretary of Commerce Wilbur Ross. “These grant awards will help ensure that all Americans across the spectrum continue to reap the benefits of our thriving economy.” “Minority business enterprises each have a unique and critical role to play in the national economy as well as in countless local communities nationwide,” said MBDA National Director Henry Childs, II. “Through these grant awards, we are directly impacting those who MBDA was created to serve.” The Minority Business Development Agency is expanding its former use of the Broad Agency Announcement approach to fund projects in these Departmental priority areas that, in turn, promote and ensure the inclusion and use of minority enterprises. Businesses, nonprofits, state and local governments, Indian Tribal governments, as well as educational institutions were all eligible to receive awards. As a result, the projects that received funding were geographically and commercially diverse. Organizations such as the United States Space Foundation, Howard University, the Asociación Productos de Puerto Rico, and the El Paso Hispanic Chamber of Commerce were all grant recipients. The Minority Business Development Agency’s mission is to link minority-owned businesses with the capital, contracts, and markets they need to grow. Serving as subject matter experts and advocates for the minority business community, they conduct high-quality research and help minority-owned businesses cultivate domestic and international relationships. MBDA is the only Federal agency created specifically to foster the establishment and growth of minority-owned businesses in America.